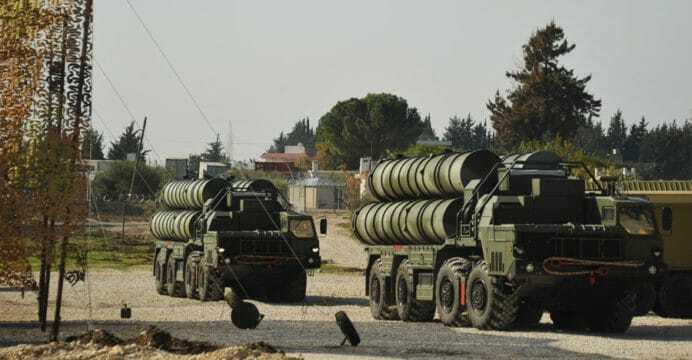 Sheikh Nasser bin Hamad El Khalifa, the Commander of Bahrain’s Royal Guard, announced that Bahrain is negotiating with Russia for the S-400 long-range surface-to-air missile (SAM) system, reports RIA Novosti. “We are currently in the stage of negotiations, but with god’s help we will finish this process,” said Sh. Nasser at the 2017 Bahrain International Defence Exhibition and Conference (BIDEC), which is taking place in Manama. Bahrain joins Saudi Arabia and Turkey as a prospective operator of the Almaz-Antey S-400 Triumf. Ankara has made its initial payment for the system, while Riyadh signed a memorandum-of-understanding (MoU) committing to buying the system alongside other Russian armaments. Bahrain’s interest also cements the Russian defence industry’s brisk entry in the Arab Gulf market, which has traditionally sourced big-ticket defence items from the U.S. and Western Europe. This dynamic is still in place (e.g. Saudi Arabia’s $100 billion arms pact with the U.S.), but Russia’s air defence, small arms and combat aircraft solutions are evidently gaining traction in the region. The state-owned industry group Rostec says that Rosonboronexport, Russia’s arms export and import agency, is at BIDEC 2017 with more than 200 defence items for conventional and asymmetrical conditions. Bahrain also inked its purchase of F-16V and F-16V upgrade kits. In September, the U.S. Department of State cleared a proposed $2.79 billion U.S. sale to Bahrain for 19 new-built Lockheed Martin F-16V and a $1.08 billion sale of upgrade kits for 20 serving Bahraini F-16C/D Block-40s. The marquee feature of the F-16V is the AN/APG-83 active electronically-scanned array (AESA) radar. This will give the Royal Bahrain Air Force with an enlarged and technologically superior fleet of combat aircraft. In parallel, the S-400 would provide it with a multi-layered land-based air defence system capable of engaging targets at up to 400 km, which will cut into Iranian territory (at high-altitude).